When the clocks have changed, darkness falls early, and Management still proposes to hold the threat of redundancy over the heads of four of my colleagues more or less indefinitely, it is time to go AWOL and treat myself to a little recreation. 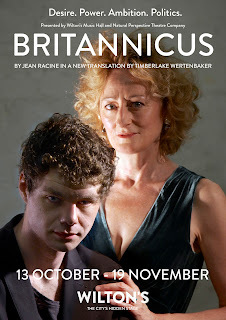 Last Thursday I went with an expert in French theatre to the matinee of Racine’s Britannicus at Wilton’s Music Hall in the East End of London. I have a rule, derived from experience, that nine out of ten visits to the theatre end in disappointment, and I am no great fan of the French Baroque Bard. But this was one of the best performances I have seen in the 21st century. The play, in a supple and eloquent new translation by Timberlake Wertenbaker, made complete, compelling sense. The plot of Britannicus is incredibly simple. It stages the day in 55 AD when Nero finally killed his half-brother Britannicus off so he could secure his own hold on power. There is a complication to do with their competition for the lovely (and more importantly, virtuous) Junia; Racine’s demonstration of the way that power turns people on libidinally is wholly uncompromising. It reminded me forcibly of the one event I have ever attended in Parliament, a reception long ago where Cabinet ministers were encircled by rival assistants of both sexes, all dressed to kill, and trying to dominate the great men’s attention. You could literally smell the testosterone. But that is not my main point. The play is an ensemble piece which anatomises the way that the second tier of management behaves when a leader is not immoral but amoral. His aides and confidantes fight, sometimes to the death, for control over his psyche. They compete with each other in depravity, causing extensive collateral damage. The sociopathic, heartless young Nero was played brilliantly by Matthew Needham—an excellent young actor we are bound to hear more of—and I found myself understanding that the problem with tyranny is not actually the tyrant. It is the relationship between the tyrant and his aides. Unless the tyrant takes the pragmatic, paranoid route and regularly purges his entire staff (Stalin), there will always be individuals trying to exercise power through gaining the monopoly of control over his psyche and emotions. In this case it is Nero’s mother Agrippina, his tutor Burrhus, and Narcissus, the sinister, suave two-faced tutor of Nero’s half-brother Britannicus. Narcissus is the ultimate opportunist, a cynical man on the make (he is a freedman) who rises to near the top of the pile not because of any inherent abilities but because of the power vacuum just beneath—or beside—a great dictator. This production skilfully sustained the triangular power struggle that can only be fought through psychological pressure on an out-of-control and emotionally dysfunctional youth incapable of empathy. Sian Thomas, as Nero’s staggeringly self-obsessed mother, was frighteningly believable. I will long remember her purring voice telling Nero to come and sit beside her so she could get to work on ingratiating herself back into his favour. There was plenty of very dark humour. 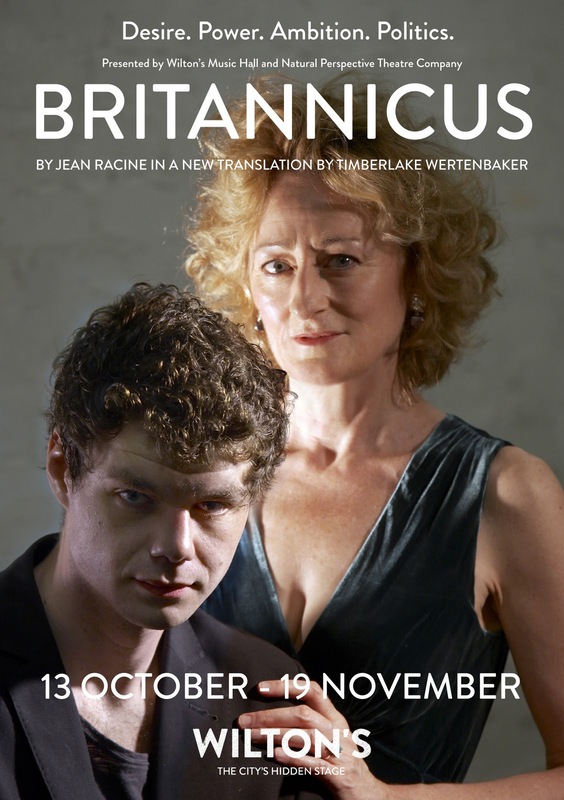 Britannicus is a play which shows how ancient history could make exciting theatre in 1669, a year when the French King Louis XIV limited freedom of religion and had a Protestant named Roux de Marsilly, accused of plotting an attempt at regicide, publicly tortured in Paris. But its exploration of the way that tyrannical power inevitably breeds a secondary class of people with ambitions to wield power themselves will always be relevant. The production is still open for another two weeks. Go see it if you can. You will never see another Nero and Agrippina like it.